For National Craft Month, we asked the beading team what craft ability they’d want if they were stranded on a deserted island. We know they love beading, but is that going to help on a deserted island? Read on to see what they had to say. Being stranded on a deserted island would be really inconvenient if you weren’t a prepared, practical, and crafty person. Many of the survival shows I’ve watched say the #1 hardest thing for survival is to keep your mind focused and not getting bored. While beading is the craft I’m best at, I’m not sure it’d be the most useful on a deserted island. I think my knowledge of weaving and sewing would probably be a much more practical craft to utilize for survival. Plus it would end up being the most rewarding for me and others also stranded. I could try to build a loom and create some simple pieces with natural fibers I found. Bead as Usual Because You’re Always Prepared! If I were stranded on a deserted island, I hope I’d wash ashore with a pretty big suitcase. 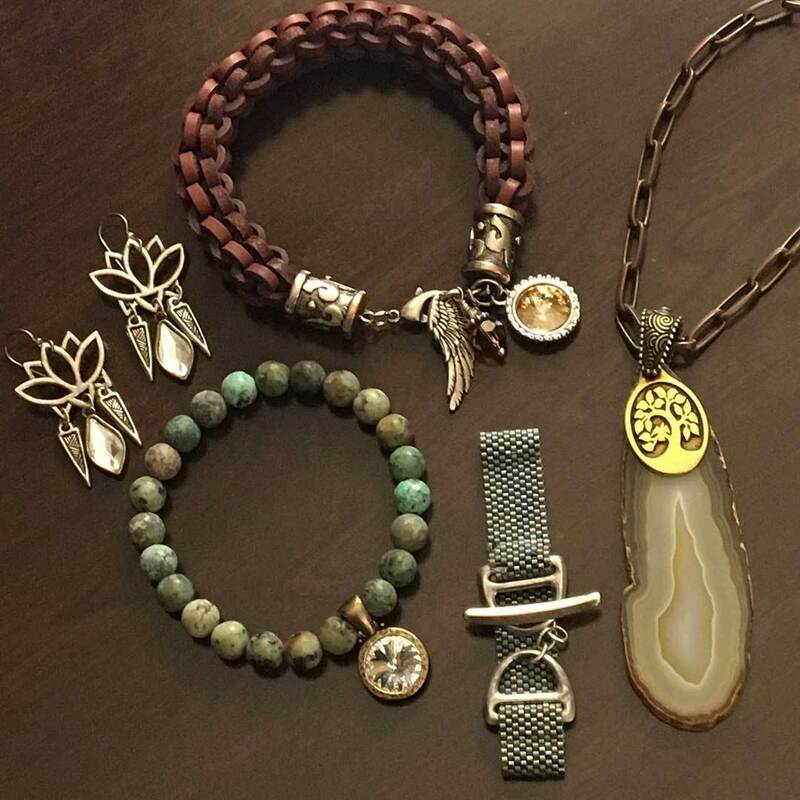 I’d like to bring at least a few different styles of turquoise beads, along with my favorite TierraCast charms and components, and a few sparkles. I like taking an element, like the lotus shown here, and then seeing what I can do with it. It’s also a good creative jumpstart for layering different components together. Some beading thread, leather cord, chain, a little wire, and an assortment of findings would round out my collection nicely. And some basic tools, of course. I don’t ask for much! 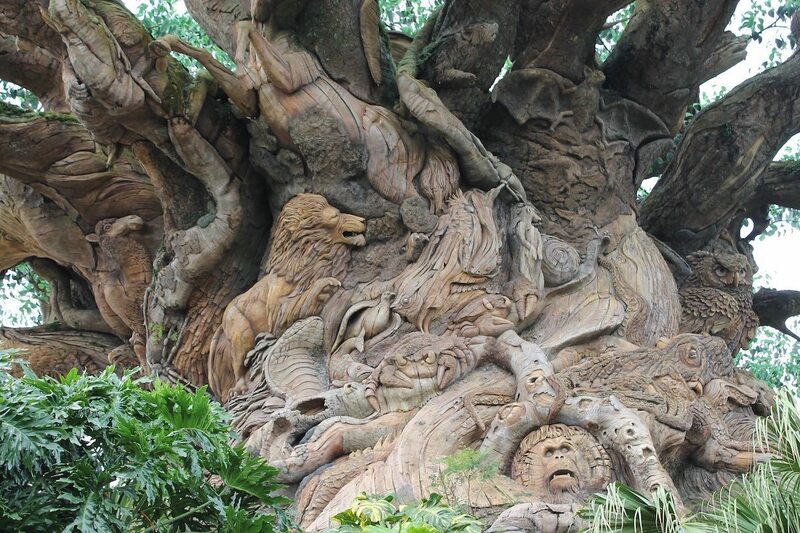 Do you ever wish you were one of those people who could casually whittle a discarded chunk of wood into a detailed sculpture, like an elephant or a unicorn? I do. If I were stranded on an island, I would want to have a small, sharp knife (affiliate link) so I could do just that while sitting around a fire. Brought to you from Tammy Jones’ pearl collection: a carved South Sea pearl and a white pearl from Burma. Think of all the things I could carve! In addition to all the creatures I’d sculpt to keep me company, I could make my own wooden beads, carve intricate patterns into pearls, and create useful items like spoons, bowls, and tools. You’ll find lots of creative inspiration for carving stamps in Carve, Stamp, Play. 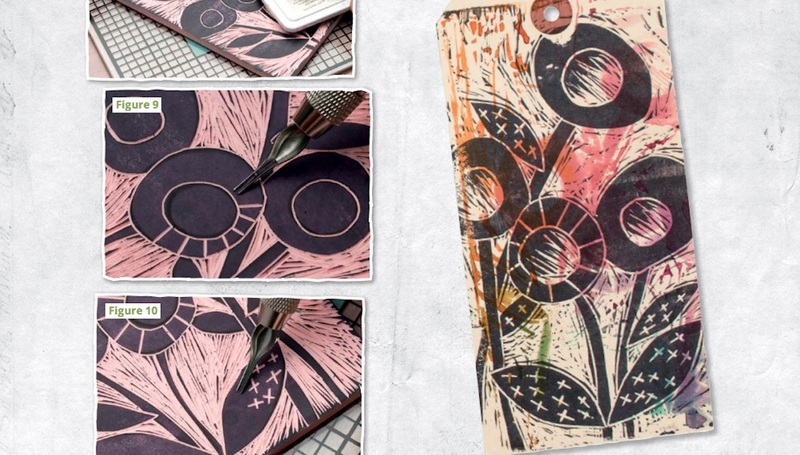 For more carving ideas, I flipped through Carve, Stamp, Play by Julie Fei-Fan Balzer and was immediately captivated by the craft design possibilities with stamps. Naturally, I would love to carve my own wooden stamps so I could leave behind some sort of esoteric message. Since this is my all in my imagination, I could even assume that I would be a natural at extracting rubber from the trees in order to create rubber stamps (affiliate link) as well. Using the local flora, I’m sure I could create beautiful dyes and fabrics to use my stamps on. I’m a girl who loves the ocean, and the beach, and the sun. I also don’t mind some time alone. 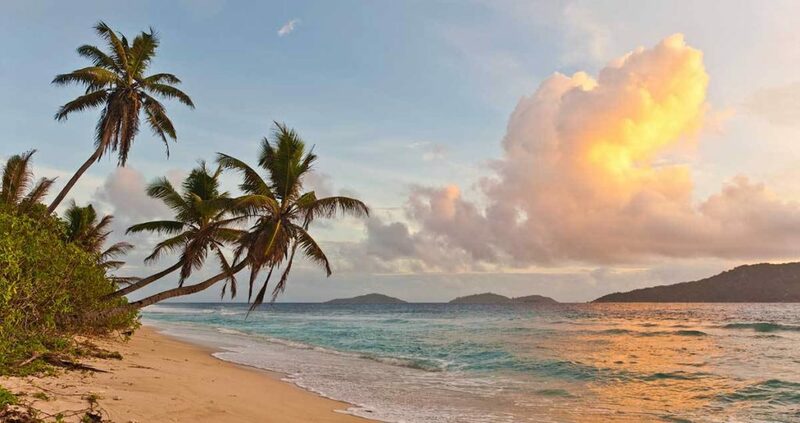 And, honestly, to be stranded on a deserted island sounds a bit like a vacation, to me. That said, fear would strike me as soon as I realized I hadn’t packed for this adventure: no pliers, no knitting, no sewing machine, no beads? But of course, as crafters, there’s always something available to work with, you just might have to spend some time searching the island and get creative. 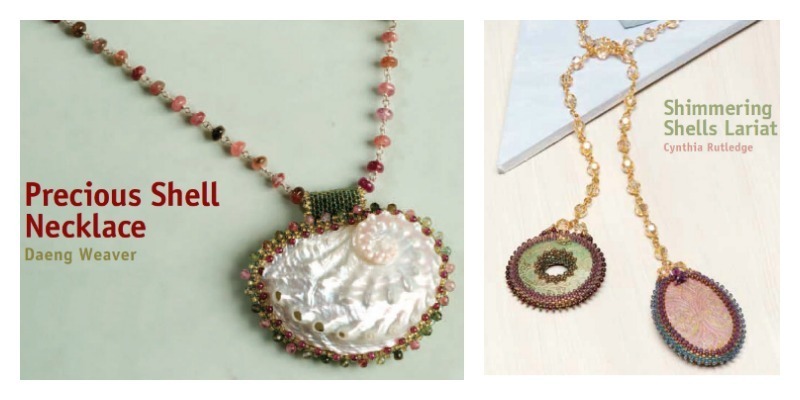 I love the inspiration found in Shimmering Shells Lariat by Cynthia Rutledge and Precious Shell Necklace by Daeng Weaver and could only hope to find shells this pretty to work with. I’m loving all the other crafty ideas being shared across this team and all of Interweave! 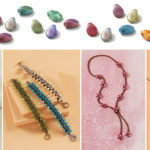 Be sure to check out all the blogs in our fun National Craft Month Blog Hop. Then leave a comment on what you would do if you were stranded! Don’t get caught without inspiration, subscribe, today!